Several of my friends back home have asked me what Mexicans think about their 2018 election results. Getting away from politics has been one of greatest pleasures of living in Mexico. I feel blissfully unaware of the progress of the Mueller investigation and guilty about it at the same time. So far, bliss has won. I did go as far however as to ask my Mexican friends, all college-educated middle-upper class voters, as well as a sampling of Uber drivers (who tend to be of the entrepreneurial class, working multiple jobs) what they thought of their new president. Less than euphoric as it appears. Mexicans are mostly fed up (hartazco) with corruption, the biggest bane of Mexican society. Corruption surrounded the investigation of the murder of 43 students in 2014. Corruption displayed itself shamelessly when the wife of President Nieto de La Piña came in possession of a mansion built by a favored government contractor. Then there’s the everyday corruption that wears everyone down and has corroded the justice system to the extent that no one has confidence in the police or the courts. Mexicans would have voted for anyone just to get Peño Nieto out of Los Pinos (where the Mexican president resides). Most of my friends in Mexico claimed to have voted for the victor, Andrés Manual López Obrador (National Regeneration Movement or Moreno). My friends here who voted for other candidates tell me that Obrador wanted to win so badly that he would say and promise anything. He contradicted himself constantly on the campaign trail, promising one thing to the sindicatos (workers groups) and the complete opposite to corporate interests. He didn’t offer any concrete plans to back up the promises he made. They questioned his ability to change anything when his own team was made up of PRI (Partido Revolutionaria Institutional, Peña Nieto’s party) malcontents, people who didn’t get what they wanted from the PRI so switched sides. To me, the most compelling news about Obrador is that he still insists that he will not use security forces, that the “people will protect him,” shocking given that 18 mayoral candidates were assassinated this electoral season in Mexico. He insists he will continue to live modestly, fly domestic carriers and cut his own salary as well as the salaries of other high-level bureaucrats. Andy Greco, an expat friend and an observer of Mexican politics filled me in on some of the history, “Four years ago Andres Manuel Lopez Obrador founded the Morena party after two failed attempts for the presidency that he lost because of the destruction of ballots and other election fraud. Obrador won the presidential election this year with the highest percentage (53.8%) since the 1982 election of the PRI candidate Miguel de la Madrid. In those days, PRI controlled the election results. When the 1976 election gave Lopez Portillo of PRI 100% of the vote, there was a huge outcry worldwide. In 1982 PRI brought the number down to 73% and there was still a huge outcry. The level of ballot fraud lessened and PAN candidate, Vicente Fox, broke the PRI's 71-year hold on Mexican politics by winning the election in 2000. It’s speculated that Obrador may have had the highest percentage of votes since the Mexican Revolution if there had been fair elections over these years. ”Not only did Obrador win, his Moreno party candidates made big gains in legislative seats. “The Morena Party and its Together We Will Make History coalition will hold 303 of 500 seats in the lower house of the federal Congress and 70 of 128 in the Senate. Claudia Sheinbaum, the Morena candidate for mayor of Mexico City, won with 52.2% of the votes. Sheinbaum is the first woman elected as mayor of Mexico City. She was one of a large number of successful Morena mayoral candidates which included many women. The Morena Party also won five governorships. That means for the first time in 24 years, the president of Mexico will have a legislative majority. People scoff at Americans who support third party candidates as throwing their vote away. Obrador created another party, a party that won only four years later. Other features of the Mexican constitution worth noting pertaining to elections are that candidates are given a short set time frame to campaign and all campaign messages have to end several days before the election. Campaigns are financed by the government (not private contributors).There is no Electoral College. Voting is done on a Sunday, ensuring that low-wage earners don't have to miss work to vote. God bless America - Viva Mexico! If you want to remain an engaged American citizen...just live somewhere else, there are plenty of ways to do so. "We're all corrupt," writes one Mexican social researcher, giving us an idea of how broad the practice is at every level of society. From the archive (and still one of my favorite blogs), how to drown in Mexico. Most recent: My new place is a feast for the eyes and ears and $975 a month. Kerry Baker is the author of two books. 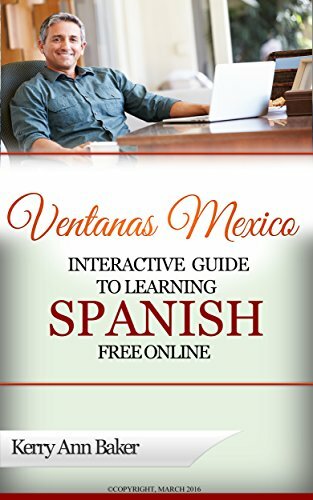 The first "The Interactive Guide to Learning Spanish Free Online,' is a curation of the best free language tools on the web, organized into lesson plans with interactive links in the book. Or you can create your own unique lesson plan every day. Boredom is the key obstacle to learning. Using a number of different tools will help keep you motivated. 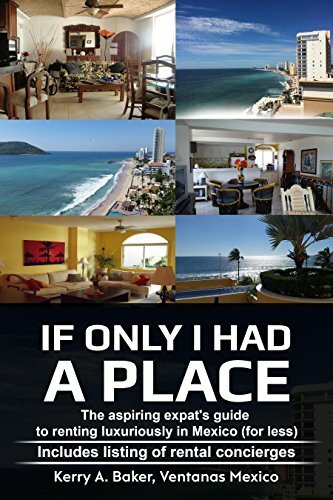 "If Only I Had a Place" is a book on renting well in Mexico and a system for doing so year after year. Includes a listing of rental concierges (a number of them blogged about on this site), who can help you screen the apartment from a distance, an absolute must when renting in Mexico.